The Taiwanese ASUS is known for its Republic of Gamers (ROG) hardware line but what is gaming with no proper networking equipment? That is why the Taiwanese company has announced a new repeater that has been designed specifically for gamers. The new repeater is called RP-AC68U and takes the top position among all ASUS 802.11ac-enabled Wi-Fi network devices. The repeater comes housed in an elegant chassis and features four high-performance antennas (3 transmit and 4 receive) that allow users to extend an existing Wi-Fi network with ultra-fast speeds of up to 1900 Mbps. In addition to this the ASUS RP-AC68U comes with a USB 3.0 port that can be used for connecting devices. The repeater has five Gigabit Ethernet ports too that add great flexibility when connecting devices through cables. The RP-AC68U can be used as an access point too that can add Wi-Fi capabilities to a wired network too. Best of all, the ASUS RP-AC68U gaming repeater can be all set up with no hassle – just press the WPS button on both the repeater and the router you use and this is it! You don’t even need a CD or a computer to do this. 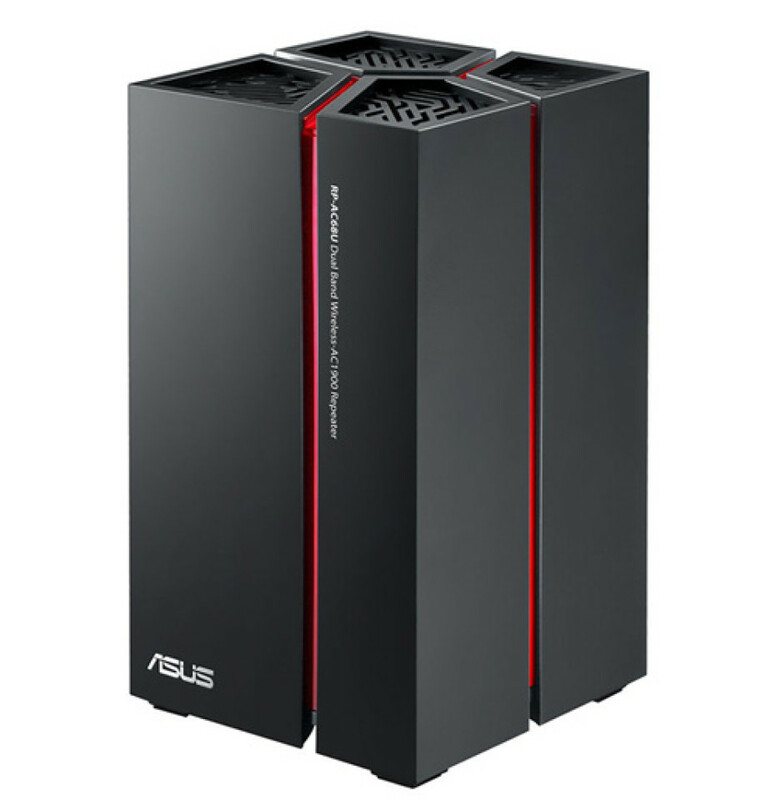 Unfortunately there’s no information on when the ASUS RP-AC68U will be in stores or how much it will cost.